Please note: We sell to USA only! 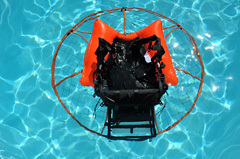 Aquatic Flotation System for Ultralight Aircraft! 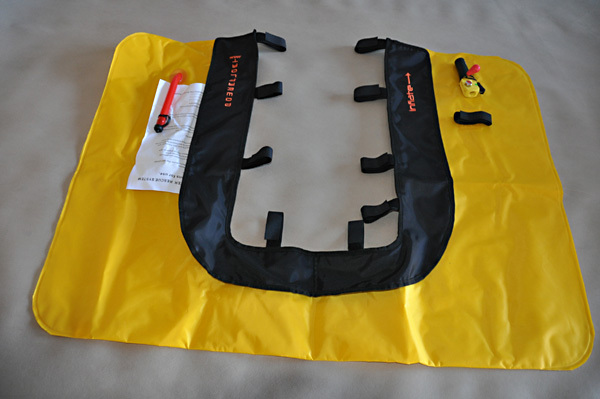 The Powerfloat is a larger U shaped life vest made to fit a PPG frame with more flotation designed exclusively for the powered paraglider & paramotor community. The Powerfloat U shaped vest weighs approx 2 lbs. 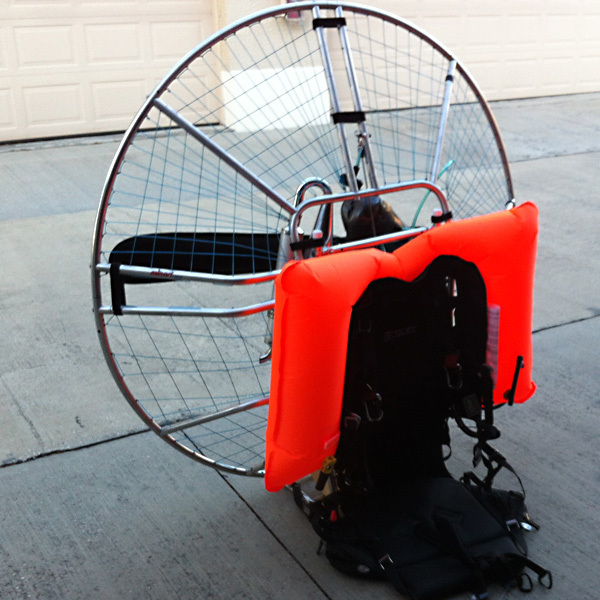 Please note: This listing is for the Powerfloat only, no Paramotor is included. Co2 Cartridge is included. Supplied with the UML Pro Sensor Inflator (approx 2 year replacement, 1 year if humid). Please note: All life vests should be replaced after 4 years, this is standard industry practice for self inflating vests as the reliability after that can not be 100% guaranteed due to exposure to the elements and wear and tear. Powerfloat vests need complete replacement every 4 years. Powerfloat U-Shaped $275 - with FREE SHIPPING in the USA!! The 2Bsure vests are available in two sizes, both sizes work great for Powered Paragliders and Paragliders and include the Co2 Canisters (2 x 25 gram) and automatic inflation. The best thing about the twin system is they fit any frame or harness and have the security of two flotation units. These are also popular with coastal Tandem pilots as they can be mounted on the spreader bars as an option for PPG or PG pilots. The 2Bsure XL are much larger in volume are are ideal for hang gliders, powered hangliders, powered parachutes and Powered Paraglider trikes and include the Co2 Canisters (2 x 70 gram) and Automatic inflation and can be fitted almost anywhere on a frame or upright as required. The set or pair of 2Bsure vests weighs approx 2 lbs including the Co2 canisters. Powerfloat 2BSURE $265 - with FREE SHIPPING in the USA!! 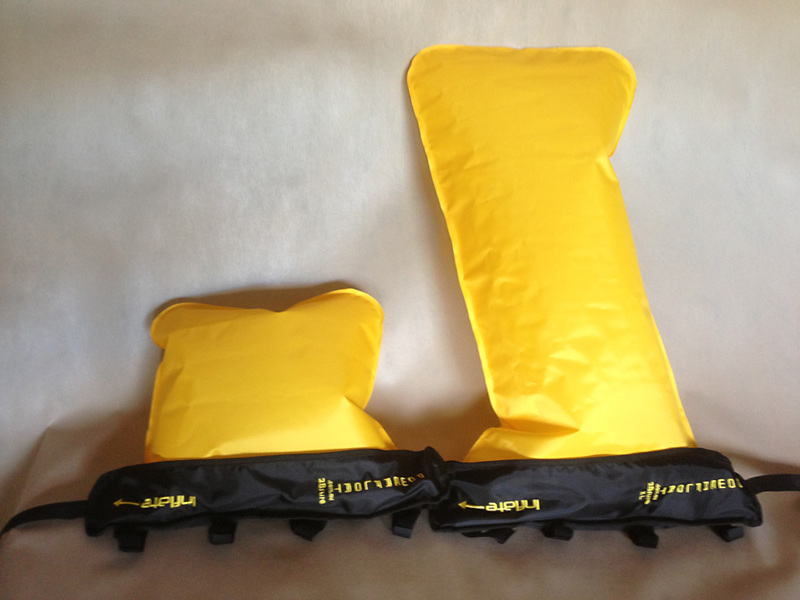 The 2Bsure XL size has six times the flotation of a normal life vest in the pair for excessive flotation. 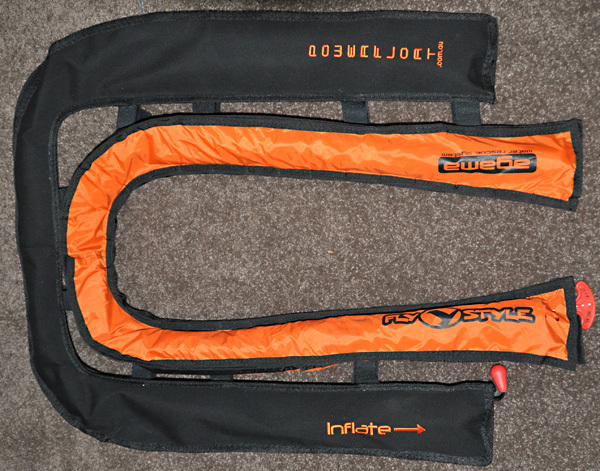 These are supplied with the new multiple fit system - they can be attached with the webbing supplied, Velcro or with zip ties through the loops on the back. The 2Bsure XL is ideal for schools doing SIV courses over lakes, Acro pilots, coastal pilots and every day pilots that have any chance of a water landing. The biggest and best flotation system available for pilots. 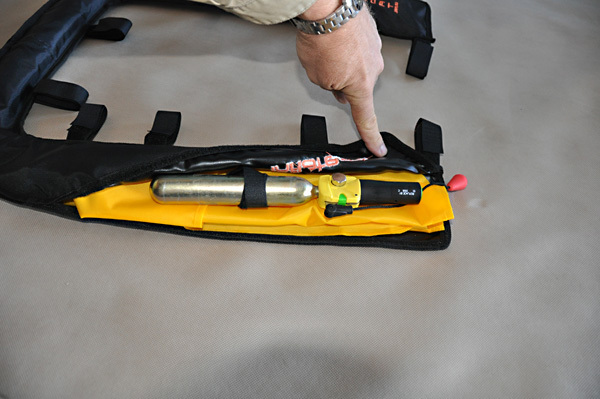 The 2Bsure XL is also great for heavier applications such as PPG Trikes, Hang Gliders and Powered Parachutes as the two flotation cells are 3 times larger using two 70 gram Co2 canisters. The Powerfloat 2Bsure XL weight is 3 lbs. Powerfloat 2BSURE XL $285 - with FREE SHIPPING in the USA!! Please note: All life vests should be replaced after 4 years, this is standard industry practice for self inflating vests as the reliability after that can not be 100% guaranteed due to exposure to the elements and wear and tear. Powerfloats need complete replacement every 4 years. We also sell the Recharge Kits for the Powerfloat, just email us or look in our eBay Store (TrikeBuggy). Download the Powerfloat Users Guide (PDF). Powerfloat Testing from Ben Darke on Vimeo. 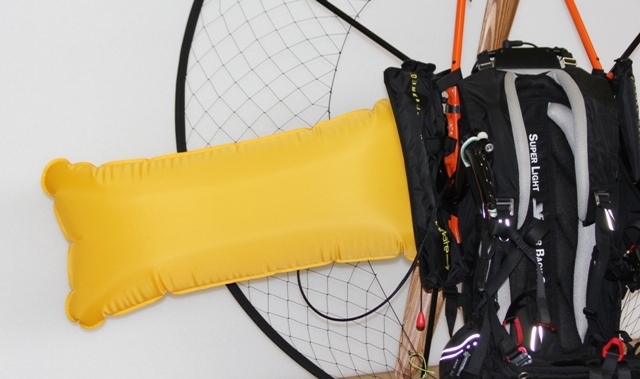 Powerfloat Paramotor Floatation Vest installation guide from Ben Darke on Vimeo.